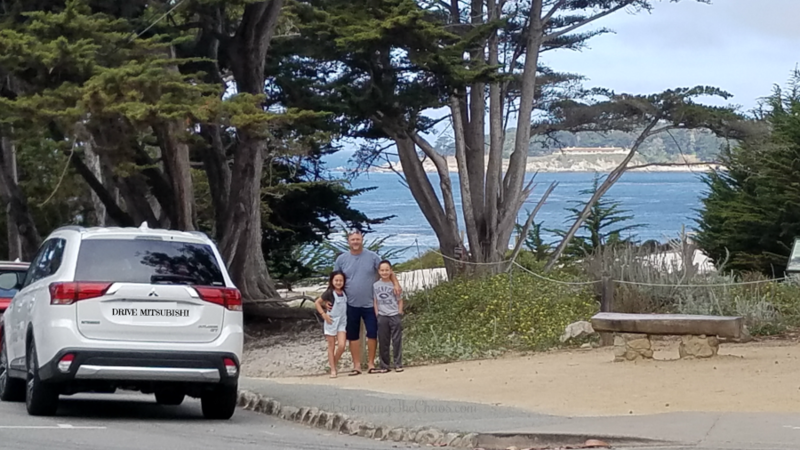 To kick off the summer I planned a quick summer road trip to a couple of our favorite California Destinations. 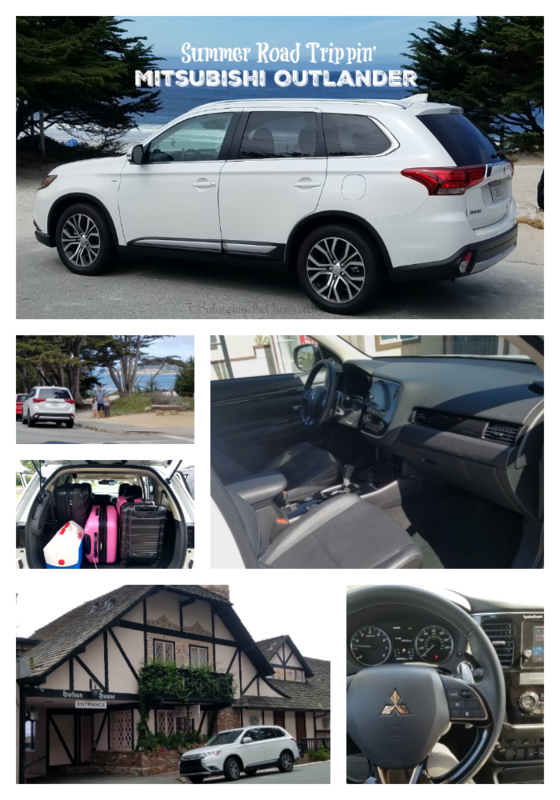 This time, we traveled in a Mitsubishi Outlander, a great mid-sized sport utility vehicle that was spacey enough for a road trippin family of four with third row seating, a 7″ touch screen entertainment system and many new “state of the art” drive assisting features. My family ended up getting out of school really this year. 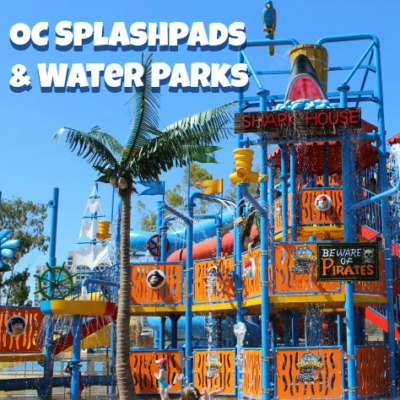 Because of this, we decided kick off the summer with a quick family get away. 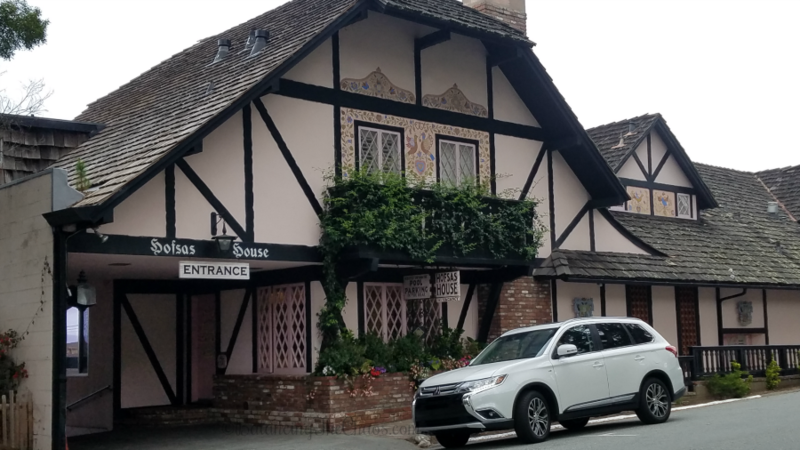 Luckily, we had the opportunity to test drive a Mitsubishi Outlander while we were exploring Solvang and Carmel By The Sea. One of the first things I noticed about the Mitsubishi Outlander was the size. While I drive a family sized SUV, the Outlander is a bit smaller than my vehicle. Packing our suitcases became a bit challenging because we obviously over pack for 3 nights away. We’re known to add extra pairs of clothing, extra additional layers, because you never know what the weather is going to be like; stuffed animals and event our favorite pillows. That being said, we managed to fit all of our necessities into the back of the Mitsubishi Outlander perfectly. At times, long road trip can be a bit of a challenge with siblings sharing a back seat. 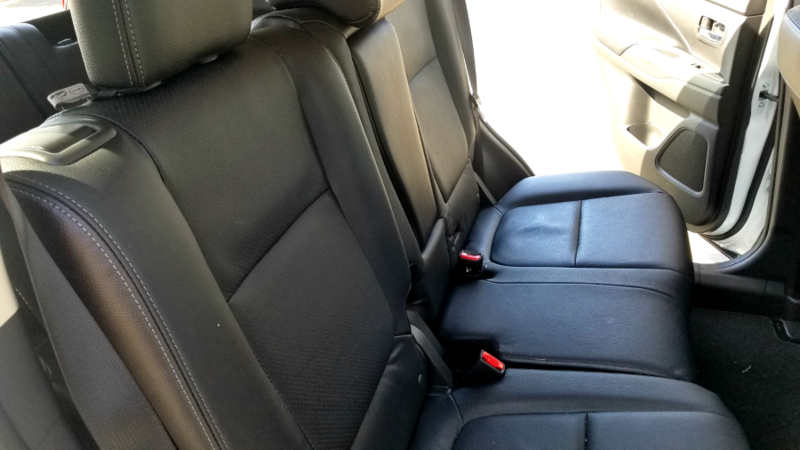 Luckily, the Mitsubishi Outlander had plenty of room in the second row of bench seats, with the ability to pull out the middle arm rest/cup holder as a divider when the kids have had enough of each other. 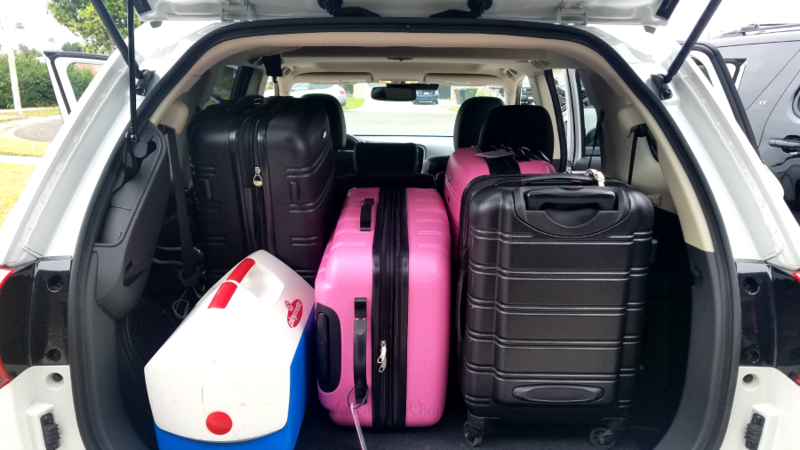 Another great option is the fact that the 3rd row, while used as storage for our suitcases during our road trip, can also serve as a divider among quarreling youngsters, or additional seating if you’re traveling with up to 7 passengers. Adaptive Cruise Control: The Outlander uses radar technology to judge the distance between vehicles directly in front of you when you’re traveling. If you get too close to the vehicle in front, it will automatically slow down to a safe speed. Once the vehicle moves out of your lane, the Outlander will resume pre-set cruise control speed. 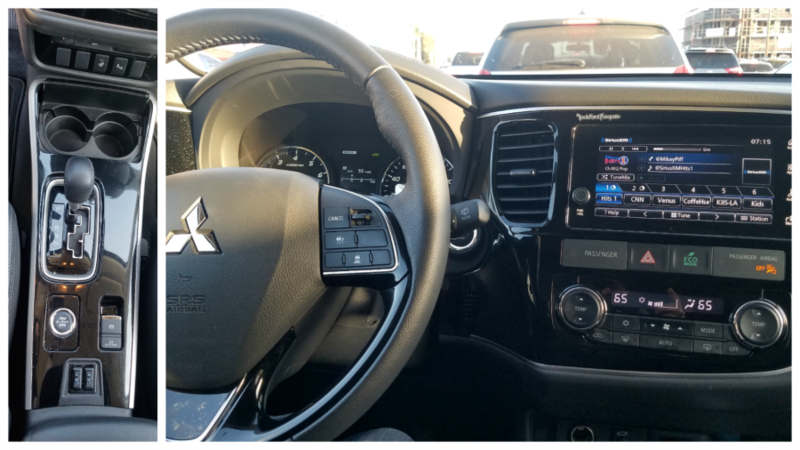 Multiview Camera: My kids LOVED this feature, where the Outlander utilizes multiple cameras around the vehicle to give the driver a birds eye view of the car, making it easier to navigate in and out of tight spaces. Rear Cross Traffic Alert: If there is a vehicle approaching from the side while you’re backing up, you hear a warning sound while an indicator light blinks on both side mirrors and a buzzer sound goes off. Additionally a message appears on the 7″ color multi information display. Blind Spot and Lane Change Assist: Working together, the blind spot and lane change assist warns you when a vehicle is approaching in your blind spot. Lane Departure Warning: This is an onboard camera that monitors the lane position of the lane. If the vehicle is leaving the lane unintentionally, an alert goes off to notify the driver. Auto High Beam Headlights: The headlights will automatically adjust between brightness levels, depending on surrounding light. Forward Collision Mitigation: This system uses both laser, radar and camera technology to determine if a collision with a pedestrian is imminent. If so, the vehicle will send an alert sound to the driver and automatically applies an emergency braking to reduce the severity of the collision. 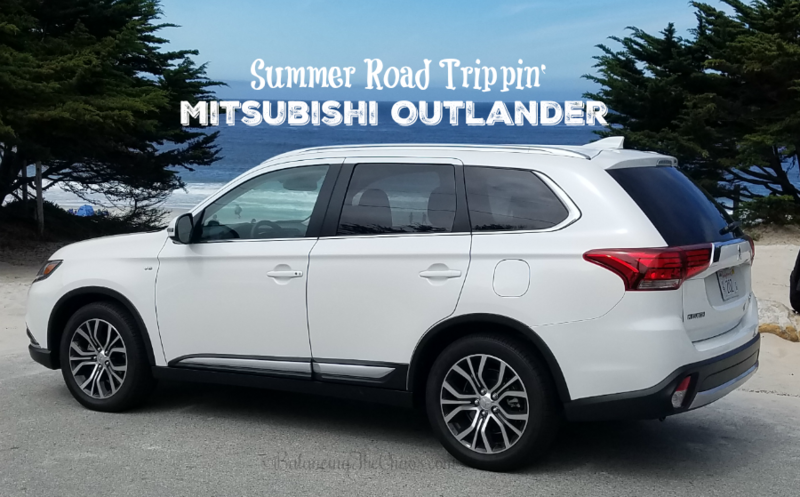 If you’re planning a road trip or you have a lengthy commute, I’d recommend the Mitsubishi Outlander because it gets roughly 22 miles per gallon on streets, and approximately 27 miles to the gallon on the highway. 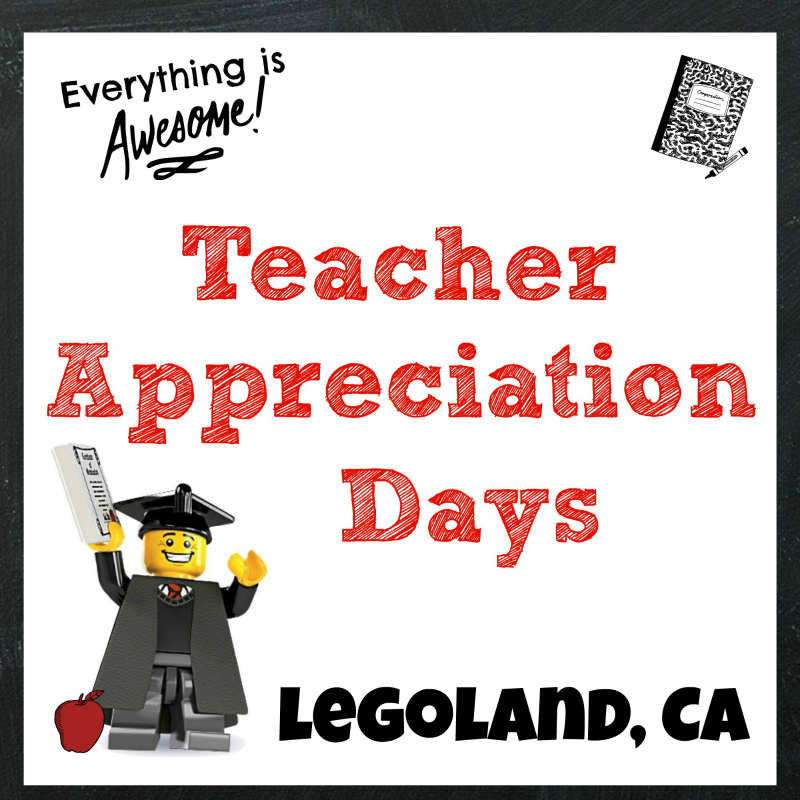 We certainly liked it! For more information about Mitsubishi and the current models available, visit https://www.mitsubishicars.com/.